All things considered, Xiaomi's phones are hard to get, yet they flaunt a noticeably more affordable price tag than most of theirs similarly-specc'd rivals. The so-called Apple of China is currently near the very top of the smartphone industry, leaving other more popular global brands far behind in terms of smartphone sales. Even more, it sees itself the global leader in the industry in the foreseeable future. The company does not have a very extensive portfolio of products - the top-end Xiaomi Mi 4 being the flagship (and what a flagship it is indeed! ), the Xiaomi Redmi Note in the upper mid-range, and the Xiaomi Hongmi/Redmi 1s in the entry-level price segment. 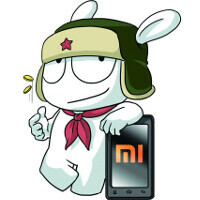 It seems that Xiaomi might have a new ultra-affordable Android smartphone in the pipeline for 2015. The rumor mill has it that it might cost CNY500, which translates to roughly $81. One of the hints behind this rumor is the recent inclusion of BOE Technology, a China-based supplier of display panels for entry-level phones, which made the cut and landed on Xiaomi's supplier list. The latter is already using Sharp and Japan Display's panels for its top-tier handsets, whereas AU Optronics is the provider of display panels for the mid-range offerings. Thus, it seems BOE Technology could be Xiaomi's partner for the latter's entry-level handsets. We've already heard rumors about an alleged successor of the low-cost Xiaomi Redmi 1S, which has been already given the green light by China's TENAA certification agency. Could this be the rumored $80 handset? Well, we somewhat doubt that, but considering the Chinese phones you can get for twice the price, Xiaomi can easily surprise us all. Is this Xiaomi's $80 handset? The rumor was under 400CNY, this is just a new one. They already sell the Redmi 1S 4G at 599CNY and for 2015 80$ for 720p, quad core is normal for China, we already have things like the Elephone G4 at 80$. If they could hit 65$ with Redmi 1S like specs it would be interesting. 720p are moving bellow 100$ and 1080p is the new 720p while the high end goes 1440p and 4k, nothing really suprising. all specs are fine .. except ram we need 2 gb ram in 100 $ phones in 2015 1gb is too low nowadays even for 100$ and miui is famous for taking too much ram. Yeah the Redmi 2 should be 5 inch 1080p, 2GB RAM , 13MP cam at 699CNY but no idea if they do that or they dropped the ball and it will be less. Meizu seems to be aiming at about that but smaller at 4.6inch. The cheaper device would most likely be similar to the 1S, doubt they go for lower specs and to both up the specs and aim for a much lower price seems a bit too much. Noticed on Geekbanch a Xiaomi Ferrari (nobody actually reported on it), could be fake but if it's real we should see it soon. "and miui is famous for taking too much ram." Which shouldn't be that much of a problem if Xiaomi/MIUI can knock some heads hard and open up their code base to be more AOSP-compliant. When this happens then users can gain that same access to more efficient custom ROMs that can deal w/ 1GB RAM no sweat. A smartphone for every man, child and dog. I don't wanna be that preachy tree hugging nut but of course on the paying consumer's PoV no one can/should complain about how low can a smartphone RRP go. As a concerned world citizen however it's still is grey than it is black and white. While workers at an assembly line for an ODM in charge of putting out $1000 flagship phone today are still being paid peanuts I can only imagine how horrifyingly low an hourly wage would get a $80 phone assembler. Some lines has to be drawn somewhere for the good of us all. What made you think that companies which sell their flagship to consumers at higher overpriced amount of money to get more profit would pay higher salaries to workers than others? +1, Apple which exorbitantly overprices its products has also come under fire for paying the lowest salaries to workers in China. Uhh yeah that was what I tried to convey before buddy...if "overpriced" phones can't guarantee better salaries then volumes upon volumes of far lower priced ones is just the same thing if not worse. If OEMs won't change then it's up to us the consumers. Companies like Xiaomi should be regulated for using extremely low price tactics to squeeze out competitors. Its worse when they also make their phones by copying other companies R&D to every detail. This is unfair. And how do they expect to make any profit off of this phone? $81 sounds like the manufacturing price rather than sale. Why regulate? This is a competition-driven market. Consumers win! Doesn't matter if xiaomi kills the others. They have to compete. Fair and square. That charity amount goes for the charity of the poor gay called Cook with $400 million basic salary.